For the French physicist and uncle of Marie François, see Nicolas Léonard Sadi Carnot. Marie François Sadi Carnot (French: [maʁi fʁɑ̃swa sadi kaʁno]; 11 August 1837 – 25 June 1894) was a French statesman, who served as the President of France from 1887 until his assassination in 1894. Marie François was the son of the statesman Hippolyte Carnot and was born in Limoges, Haute-Vienne. His third given name Sadi was in honour of his uncle Nicolas Léonard Sadi Carnot, a pioneer in the study of thermodynamics, named after the famed Persian poet Sadi of Shiraz. Like his uncle, Marie François too came to be known as Sadi Carnot. 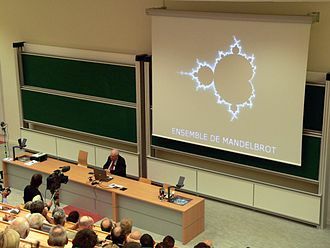 He was educated as a civil engineer, and was a highly distinguished student at both the École Polytechnique and the École des Ponts et Chaussées. After his academic course, he obtained an appointment in the public service. His hereditary republicanism caused the government of national defence to entrust him in 1870 with the task of organizing resistance in the départements of the Eure, Calvados and Seine-Inférieure, and he was made prefect of Seine-Inférieure in January 1871. 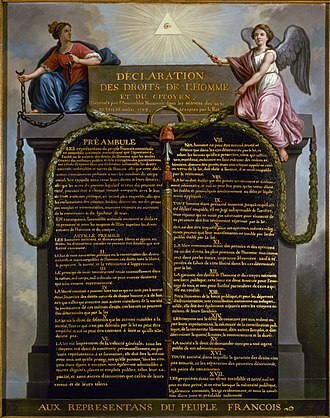 In the following month he was elected to the French National Assembly by the département Côte-d'Or. He joined the Opportunist Republican parliamentary group, Gauche républicaine. In August 1878 he was appointed secretary to the minister of public works. He became minister in September 1880 and again in April 1885, moving almost immediately to the ministry of finance, which post he held under both the Ferry and the Freycinet administrations until December 1886. When the Daniel Wilson scandals occasioned the downfall of Jules Grévy in December 1887, Carnot's reputation for integrity made him a candidate for the presidency, and he obtained the support of Georges Clemenceau and many others, so that he was elected by 616 votes out of 827. He assumed office at a critical period, when the republic was all but openly attacked by General Boulanger. President Carnot's ostensible part during this agitation was confined to augmenting his popularity by well-timed appearances on public occasions, which gained credit for the presidency and the republic. When, early in 1889, Boulanger was finally driven into exile, it fell to Carnot to appear as head of the state on two occasions of special interest, the celebration of the centenary of the French Revolution in 1889 and the opening of the Paris Exhibition of the same year. The success of both was regarded as a popular ratification of the republic, and though continually harassed by the formation and dissolution of ephemeral ministries, by socialist outbreaks, and the beginnings of anti-Semitism, Carnot had only one serious crisis to surmount, the Panama scandals of 1892, which, if they greatly damaged the prestige of the state, increased the respect felt for its head, against whose integrity none could breathe a word. He was in favour of the Franco-Russian Alliance, and received the Order of St Andrew from Alexander III. Carnot was reaching the zenith of his popularity, when, on 24 June 1894, after delivering a speech at a public banquet in Lyon in which he appeared to imply that he would not seek re-election, he was stabbed by an Italian anarchist named Sante Geronimo Caserio. Carnot died shortly after midnight on 25 June. The stabbing aroused widespread horror and grief, and the president was honoured with an elaborate funeral ceremony in the Panthéon on 1 July 1894. 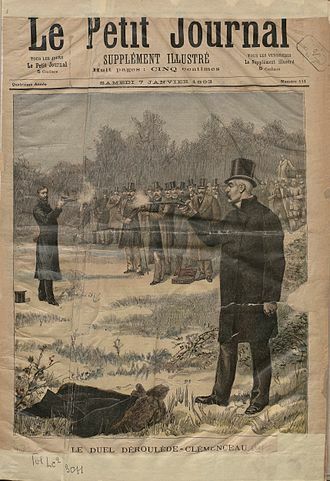 Caserio called the assassination a political act, and was executed on 16 August 1894. President Sadi Carnot with Emperor Pedro II of Brazil in Aix-les-Bains, France (Le Monde illustré, 1888). Monumental statue, tribute to Sadi Carnot by Raoul Verlet, in Angoulême, France. ^ Harismendy, Patrick (1995). Sadi Carnot : l'ingénieur de la République. Paris: Perrin. ^ Ory, Pascal (1989). l'Expo Universelle. Brussels: Editions Complexe. ^ Lacassagne, Alexandre (1843-1924) Auteur du texte; Poncet, A. Auteur du texte (10 April 1894). "L'assassinat du président Carnot / par A. Lacassagne,..." A. Storck. Retrieved 10 April 2018 – via gallica.bnf.fr. 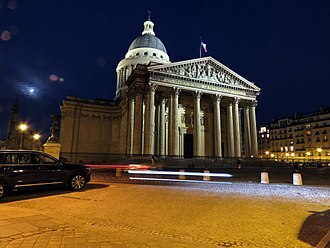 ^ "Le Président Carnot et ses Funérailles au Panthéon". Librarie le Soudier. Retrieved 8 November 2013. ^ "Caserio at the Guillotine". The New York Times. 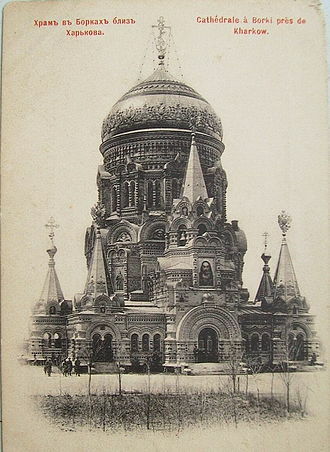 16 August 1894. Retrieved 24 June 2008. This article incorporates text from a publication now in the public domain: Chisholm, Hugh, ed. (1911). "Carnot, Marie François Sadi" . Encyclopædia Britannica. 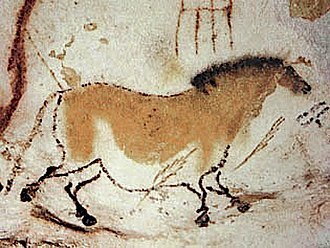 5 (11th ed.). Cambridge University Press. Wikimedia Commons has media related to Marie François Sadi Carnot. Charles Louis de Saulces de Freycinet was a French statesman and four times Prime Minister during the Third Republic. He served an important term as Minister of War and he belonged to the Opportunist Republicans faction. He was elected a member of the Academy of Sciences, and in 1890, Freycinet was born at Foix of a Protestant family and was the nephew of Louis de Freycinet, a French navigator. Charles Freycinet was educated at the École Polytechnique and he entered government service as a mining engineer. He was sent on several special missions, including one to the UK. 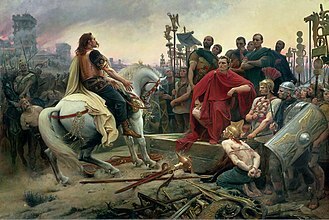 It was mainly Freycinets powers of organization which enabled Gambetta to raise army after army to oppose the invading Germans and he revealed himself to be a competent strategist, but the policy of dictating operations to the generals in the field was not attended with happy results. In 1871 he published a defence of his administration under the title of La Guerre en province pendant le siège de Paris. He entered the Senate in 1876 as a follower of Gambetta and he retained his post in the ministry of William Henry Waddington, whom he succeeded in December 1879 as Prime Minister and Minister for Foreign Affairs. He passed an amnesty for the Communards, but in attempting to steer a course on the question of the religious associations, he lost Gambettas support. In January 1882 he again became Prime Minister and Foreign Minister and his refusal to join Britain in the bombardment of Alexandria was the death-knell of French influence in Egypt. 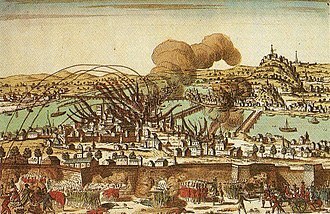 He attempted to compromise by occupying the Isthmus of Suez, but the vote of credit was rejected in the Chamber by 417 votes to 75, and the ministry resigned. He returned to office in April 1885 as Foreign Minister in Henri Brissons cabinet and he came to power with an ambitious programme of internal reform, but apart from settling the question of the exiled pretenders, his successes were chiefly in the sphere of colonial extension. In spite of his skill as a parliamentary tactician, he failed to keep his party together. 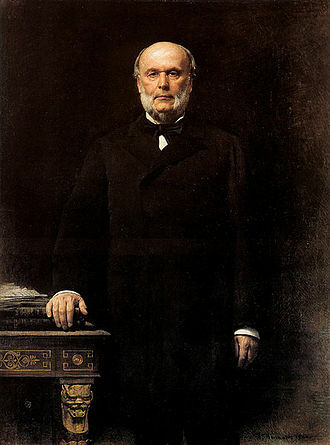 In April 1888 he became Minister of War in Charles Floquets cabinet — the first civilian since 1848 to hold that office. 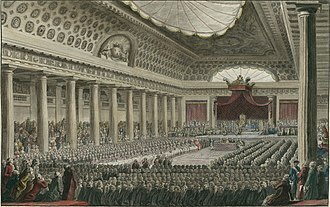 The introduction of the service and the establishment of a general staff, a supreme council of war. 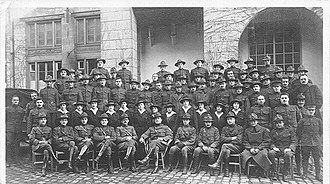 The term civil engineer was established in 1750 to contrast engineers working on civil projects with the military engineers, who worked on armaments and defenses. Over time, various sub-disciplines of civil engineering have become recognized, other engineering practices became recognized as independent engineering disciplines, including chemical engineering, mechanical engineering, and electrical engineering. In some places, an engineer may perform land surveying, in others, surveying is limited to construction surveying. Civil engineers generally work in a variety of locations and conditions, many spend time outdoors at construction sites so that they can monitor operations or solve problems onsite. The job is typically a blend of in-office and on-location work, in many countries, civil engineers are subject to licensure. In some jurisdictions with mandatory licensing, people who do not obtain a license may not call themselves civil engineers, in Belgium, Civil Engineer is a legally protected title applicable to graduates of the five-year engineering course of one of the six universities and the Royal Military Academy. Their speciality can be all fields of engineering, structural, mechanical, chemical and this use of the title may cause confusion to the English speaker as the Belgian civil engineer can have a speciality other than civil engineering. In fact, Belgians use the adjective civil in the sense of civilian, students were required to pass an entrance exam on mathematics to start civil engineering studies. This exam was abolished in 2004 for the Flemish Community, but is organised in the French Community. Today the degree spans over all fields within engineering, like engineering, mechanical engineering, computer science, electronics engineering. A civil engineer is the most well-known of the two, the area of expertise remains obfuscated for most of the public. A noteworthy difference is the courses in mathematics and physics, regardless of the equivalent masters degree. This is because the educational system is not fully adopted to the international standard graduation system. Today this is starting to change due to the Bologna process, a Scandinavian civilingenjör will in international contexts commonly call herself Master of Science in Engineering and will occasionally wear an engineering class ring. Dom Pedro II, nicknamed the Magnanimous, was the second and last ruler of the Empire of Brazil, reigning for over 58 years. Born in Rio de Janeiro, he was the child of Emperor Dom Pedro I of Brazil and Empress Dona Maria Leopoldina. His fathers abrupt abdication and departure to Europe in 1831 left a five-year-old Pedro II as Emperor and led to a grim and lonely childhood, obliged to spend his time studying in preparation for rule, he knew only brief moments of happiness and encountered few friends of his age. Inheriting an Empire on the verge of disintegration, Pedro II turned Portuguese-speaking Brazil into a power in the international arena. Brazil was victorious in three international conflicts under his rule, as well as prevailing in other international disputes. Pedro II steadfastly pushed through the abolition of slavery despite opposition from powerful political, a savant in his own right, the Emperor established a reputation as a vigorous sponsor of learning and the sciences. Pedro II had become weary of emperorship and despaired over the future prospects. He did not allow his ouster to be opposed and did not support any attempt to restore the monarchy and he spent the last two years of his life in exile in Europe, living alone on very little money. The men who had exiled him soon began to see in him a model for the Brazilian republic, a few decades after his death, his reputation was restored and his remains were returned to Brazil with celebrations nationwide. Historians have regarded the Emperor in a positive light and several have ranked him as the greatest Brazilian. Pedro was born at 02,30 on 2 December 1825 in the Palace of São Cristóvão, in Rio de Janeiro, Brazil. Named after St. Peter of Alcantara, his name in full was Pedro de Alcântara João Carlos Leopoldo Salvador Bibiano Francisco Xavier de Paula Leocádio Miguel Gabriel Rafael Gonzaga. Through his father, Emperor Dom Pedro I, he was a member of the Brazilian branch of the House of Braganza and was referred to using the honorific Dom from birth and he was the grandson of Portuguese King Dom João VI and nephew of Dom Miguel I.
Georges Ernest Jean-Marie Boulanger, nicknamed Général Revanche, was a French general and politician. His base of support was the districts of Paris and other cities, plus rural traditionalist Catholics. He promoted an aggressive nationalism, known as Revanchism, which opposed Germany, the elections of September 1889 marked a decisive defeat for the Boulangists. The defeat of the Boulangists ushered in a period of dominance by the Opportunist Republicans. Academics have attributed the failure of the movement to Boulangers own weaknesses, despite his charisma, he lacked coolness and decisiveness, he was a mediocre leader who lacked vision and courage. He was never able to unite the disparate elements, ranging from the far left to the far right and he was able, however, to frighten Republicans and force them to reorganize and strengthen their solidarity in opposition to him. Born in Rennes, Boulanger graduated from Saint-Cyr and entered service in the French Army in 1856. He fought in the Austro-Sardinian War, and in the occupation of Cochin China, after which he became a captain, during the Franco-Prussian War, Georges Boulanger was noted for his bravery, and soon promoted to chef de bataillon, he was again wounded while fighting at Champigny-sur-Marne. Subsequently, Boulanger was among the Third Republic military leaders who crushed the Paris Commune in April–May 1871 and he was wounded a third time as he led troops to the siege of the Panthéon, and was promoted commandeur of the Légion dhonneur by Patrice Mac-Mahon. However, he was demoted, and his resignation in protest was rejected. In 1884 he was appointed to command the army occupying Tunis, but was recalled owing to his differences of opinion with Pierre-Paul Cambon and he returned to Paris, and began to take part in politics under the aegis of Georges Clemenceau and the Radicals. In January 1886, when Charles de Freycinet was brought into power, Clemenceau assumed Boulanger was a republican, because he was known not to attend Mass. 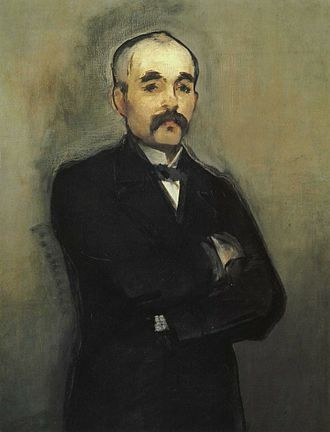 However Boulanger would soon prove himself a conservative and monarchist and it was in the capacity of War Minister that Boulanger gained most popularity. He introduced reforms for the benefit of soldiers and appealed to the French desire for revenge against Imperial Germany—in doing so and he managed to quell the major workers strike in Decazeville. The Exposition Universelle of 1889 was a worlds fair held in Paris, from 6 May to 31 October 1889. 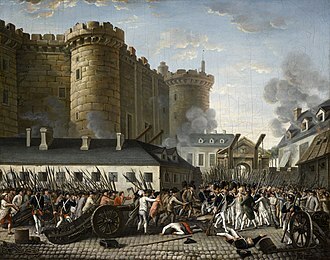 It was held during the year of the 100th anniversary of the storming of the Bastille, an event considered symbolic of the beginning of the French Revolution. The 1889 Exposition covered an area of 0.96 km2, including the Champ de Mars, the Trocadéro, the quai dOrsay, a part of the Seine. 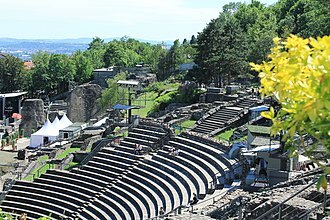 Transport around the Exposition was partly provided by a 3 kilometre 600 millimetre gauge railway by Decauville and it was claimed that the railway carried 6,342,446 visitors in just six months of operation. Some of the used on this line saw service on the Chemins de Fer du Calvados. The main symbol of the Fair was the Eiffel Tower, which served as the arch to the Fair. 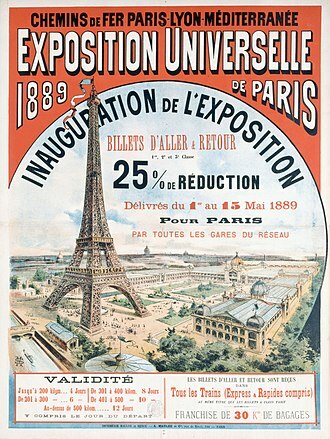 The 1889 fair was held on the Champ de Mars in Paris, which had been the site of the earlier Paris Universal Exhibition of 1867, since the lifts had not been completed when the Exposition opened, the first visitors had to walk up to the second floor platform. Workers had worked through the night the day before the exhibition opened to complete the construction needed to safely allow patrons to set foot upon the structure. No one other than construction personnel were allowed higher than the second floor platform, an equally significant building constructed for the fair was the Galerie des machines, designed by architect Ferdinand Dutert and engineer Victor Contamin. It was reused at the exposition of 1900 and destroyed in 1910, at 111 meters, the Galerie spanned the longest interior space in the world at the time, using a system of hinged arches made of steel or iron. 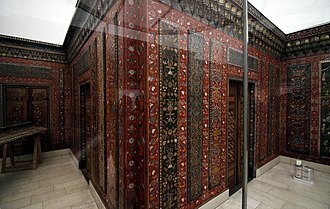 Although often described as being constructed of steel, it was made of iron. There is a description, with illustrations, of the Expositions two famous buildings in the British journal Engineering. A follow-up report appears a late issue with this summation, the exhibition will be famous for four distinctive features, the 28 June issue of Engineering mentions a remarkable Great Model of the Earth created by Theodore Villard and Charles Cotard. Charles Thomas Floquet was a French statesman. He studied law in Paris, and was called to the bar in 1851, the coup détat of that year aroused the strenuous opposition of Floquet, who had, while yet a student, given proof of his republican sympathies by taking part in the fighting of 1848. He made his name by his brilliant and fearless attacks on the government in a series of political trials, when the tsar Alexander II visited the Palais de Justice in 1867, Floquet was said to have confronted him with the cry Vive la Pologne, monsieur. In 1871 he was elected to the National Assembly by the département of the Seine, during the Commune he formed the Ligue d’union républicaine des droits de Paris to attempt a reconciliation with the government of Versailles. When his efforts failed, he left Paris, and was imprisoned by order of Thiers and he became editor of the Republique Française, was chosen president of the municipal council, and in 1876 was elected deputy for the eleventh arrondissement. Seine-Maritime is a department of France in the Normandy region of northern France. 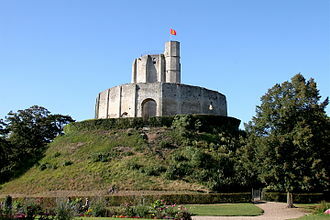 It is situated on the northern coast of France, at the mouth of the Seine, until 1955 it was named Seine-Inférieure. 1815 - Occupation After the victory at Waterloo of the coalition armies,1843 – Railways and industry In Rouen and Bolbec, the number of textile factories is increasing. Metallurgy and naval construction as well, world War II Occupied by the Wehrmacht, Seine-Inférieure is the witness of two Allied military raids in 1942, the Bruneval raid and Dieppe raid. The department can be split into three areas, The Seine valley. The Seine flows through the provincial capital Rouen, the northern coastline, including the towns of Dieppe and Le Havre. The Norman Pays de Bray, with its hills and bocage landscape, the département was created in 1790 as Seine-Inférieure, one of five departements that replaced the former province of Normandy. In 1800 five arrondissements were created within the département, namely Rouen, Le Havre, Dieppe and Yvetot, in 1843 the railway from Paris reached the region. The cadets of Polytechnique rushed to the defence of Paris against the foreign armies in 1814. 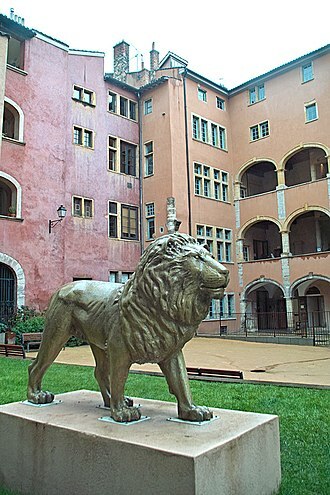 A statue set in the honour courtyard of the school commemorates this deed. A copy was installed in West Point. Panorama of Angoulême from Saint-Martin (South). The church of Saint-Ausone, the cathedral of Saint-Pierre, and the city hall can all be seen. While all civil engineers tend to spend at least some time working "on site", much of the modern civil engineering work is done in offices, working with plans or computers. A caricature on the scandal. It reads: "Few new toys this year: we're liquidating everything that remains of the stock of marionnettes that say: Papa, -Nana, -Mama, -Panama."